Rail technology leader Bombardier Transportation announced today that its Chinese joint venture, Bombardier Sifang (Qingdao) Transportation Ltd. (BST), has delivered 184 CRH1A-A new generation high speed train cars for two contracts with China Railway Corp. (CRC) for China's evolving high speed rail network. 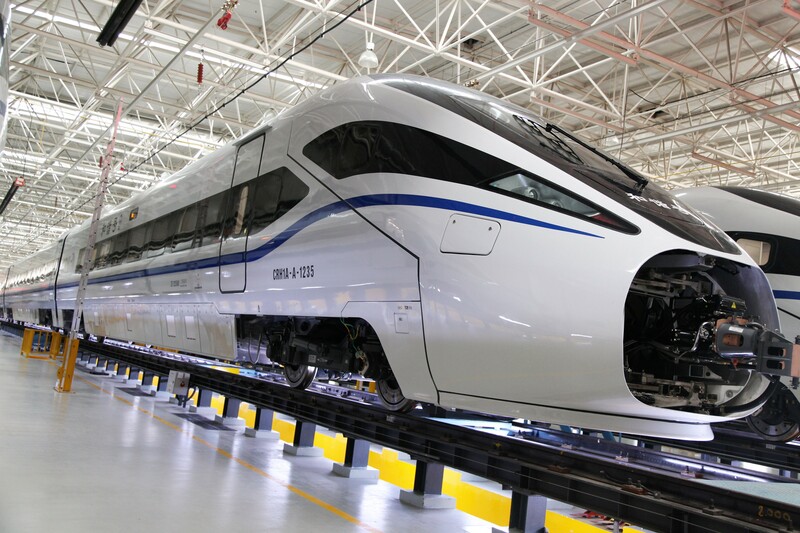 Jianwei Zhang, President of Bombardier China said, "We are very proud that our latest CRH1A-A trains are contributing to increasing connectivity across South China. With this delivery, Bombardier's Chinese joint venture BST has delivered more than 3,500 high speed railway passenger cars to our Chinese customer, reflecting the strength of our technology and expertise." He added, "We greatly appreciate the tremendous effort from our team, as well as the trust and support from our long term strategic partner CRC, in delivering this latest batch of trains on time and with maximum quality." The highly efficient CRH1A-A train cars previously delivered to CRC have performed with a high level of reliability. From the time the first CRH1A-A was put in service in November 2016, BST has succeeded in reaching an excellent performance in passenger service within twelve months. The newly delivered 72 train cars will increase potential transport capability to Guangzhou Bureau Group. The 184-car order was delivered in two stages: 112 cars for Phase 1 which entered passenger service in October; 72 cars for Phase 2 starting service from December 2017. Now in total there are 87 CRH1A-A trainsets consisting of eight cars (five motor and three trailer cars) capable of running at 250 km/h in operation. Those trainsets run across China in the south of Guangdong province, on the east coast in FuJian province, on the tropical island of Hainan province and now in Guangxi and Guizhou Province. Bombardier Transportation in China is the full solution provider across the entire value chain. From vehicles and propulsion to services and design, Bombardier Transportation in China has six joint ventures, seven wholly foreign-owned enterprises, and more than 7,000 employees. Together, the joint ventures have delivered more than 3,500 high speed railway passenger cars, 580 electric locomotives and over 2,000 metro cars to China's growing urban mass transit markets.